Life on the Costa Blanca revolves around sun, sea, sand and sangria, with plenty of good food and a few late nights. People of many different nationalities have been attracted to its beautiful coast since the 1950’s. Although renowned for its clean, Blue Flag beaches, the Costa Blanca is becoming more and more popular with cyclists, walkers, painters and nature lovers. 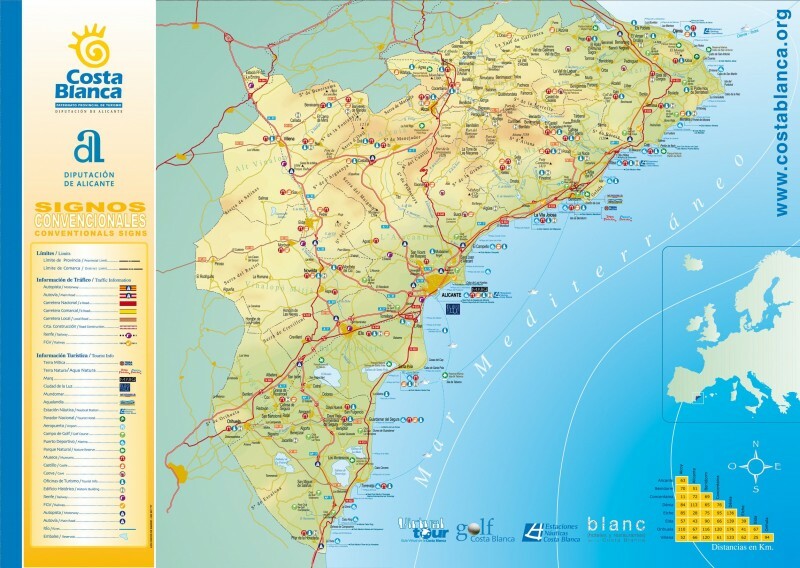 Small and not so small towns like Ciudad Quesada, San Miguel, Villamartin, Los Montesinos, Algorfa and Dolores offer a real taste of the Spanish countryside, detached, but still close to the bigger tourist resorts like Torrevieja and Guardamar Del Segura, if it’s nightlife you desire. Spare a few days for exploring the atmospheric towns and hidden corners where traditional Spanish life has remained untouched by the glitz of the big resorts and the rural pace of life remains undisturbed. The Costa Blanca is a land of huge variety, with thriving ports, marinas, promenades, bustling cities and a vast agricultural industry. Taste the diversity of the Costa Blanca region, with its typical pool side villas, the luxury beach front apartments with their sunny balconies, the bungalows, townhouses and traditional Spanish fincas, basking in the Spanish sunshine in calm residential areas like La Siesta, San Luis and El Chaparral or one of the Torreta's and Jardin del Mar's on the outskirts of Torrevieja. The urbanisation of La Marina, serviced by the spectacular golden sandy beaches of the Costa Blanca is a fabulous place to live as are the areas of Playa Flamenca, La Zenia, La Florida, Cabo Roig and Campoamor, all with wonderfull beaches and surrounded with everything you might ever need to fulfil all of your Spanish dreams. Experience the hustle and bustle of the coastal towns, the peace and tranquillity of the mountain orchards or gaze over the salt lakes, a flat and shimmering landscape backed by miles of market gardens with lemon and orange groves in abundance. There are plenty of restaurants, coffee houses, tapas bars and shops, w ith the more densely populated areas often having central commercial areas that include banks, solicitors and supermarkets. Spain’s shoe-manufacturing capital, Elche, is a stronghold of the Valencian language and one of the most historic towns in the region, having served as a powerbase for the Moors. It is surrounded by Europe’s largest palm tree forest. Many find everything they need in the coastal resorts of the Costa Blanca, an agreeable year round climate, a good standard of housing and life, with lots to see and do. The Costa Blanca has always been hugely popular with families. The children can go wild at the many water parks, while keen golfers will be in paradise as the area boasts some of the best courses in Spain, including La Marquesa (Cuidad Quesada), Villamartin, Las Ramblas and Campoamor. Admire the produce, smell the flowers or buy a paella pan at one of the daily food markets or weekly street markets. For a change of scene and a fresh breeze that has not come from an air conditioning unit, take a boat ride to the island of Tarbaca or the islands in the Mar Menor.